can you provide the url of the forum where you have seen it (if you had) ? Could you provide a link to that page on that website where this is at? I can not locate it. 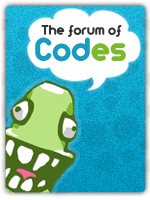 however this function is only visible to the mod, I am the forum mod but it does not have access to this code. When you click on it automatically pops up a message, and blocks the automatic topic. giving us your account see get the codes will be the only was for us to determine this. Please send it VIA PM to us. Thanks! so you want a button that locks the current topic and makes you post "solved"? Yes clicking this button automatically appears a message that I decide, understand and solve the topic, for those who did not find the link I showed you he's in the message box quickly. see the quick reply box next to the button to send. places like that can make a tutorial? @Shion wrote: places like that can make a tutorial? It's no good I added the codes in java scrypt page and not result in anything I do not know to add the code.